•	Sign up for the free Sears email newsletter and receive weekly circulars for local Sears department stores in your area as well as exclusive email only promotional coupon codes and discounts. Many of the online coupon codes can be used in local stores as well, though not all are transferable. •	All Craftsman tools and products available from Sears are protected by a lifetime guarantee. If unhappy with any of these tools or products for any reason whatsoever simply return them to your local Sears for a full replacement or exchange without any questions asked. •	Sears offers a Rewards Club that gives customers the chance to earn discounts good towards all future purchases. 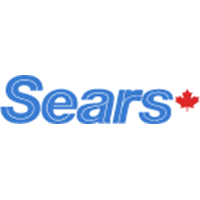 Sears is a department store that has both physical store locations and an online store that you can browse through. On their website you can take a look at the deals that they currently have or the flyer that they have distributed at the beginning of the week on the “Deals and Flyers” tab. There is also the opportunity to look at the catalogues if you are interested in ordering items over the phone instead of using their site. Any sales that they have available such as being able to save up to 50% off of select items will be showcased on the front page of the site. For most up to date offers check out Sears Canada on Facebook and Twitter or contact Sears Canada Support for any questions.